These bearings require a minimum 3/4 in. or larger bore master cylinder. Hays hydraulic release bearings offer an easy method of setting up a hydraulic clutch release system in T-56 and TR6060 6-speed transmissions. 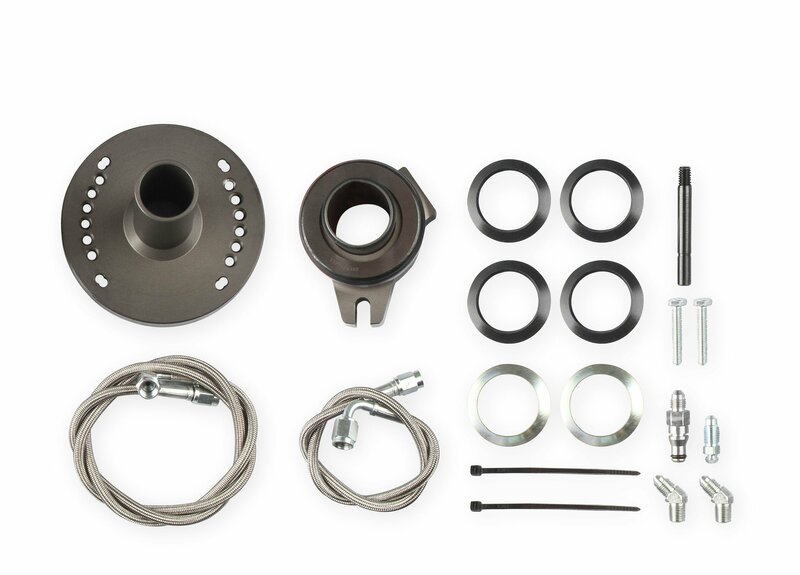 Our kits are ideal for applications where a late model manual transmission is being integrated into an early vehicle not originally hydraulic equipped or as an upgrade to your factory hydraulic equipped vehicle. They feature full adjustability, providing an easy setup with any single or dual disc clutch along with offering easy pedal effort. Hays release bearings are a floating design and feature large O-rings and PTFE backup rings in the grooves to help eliminate leakage along with a long service life. A snap ring on the front of the piston prevents over travel and keeps from pushing the bearing off the sleeve. The sealed bearing snaps in place and is easily serviceable.